As a blogger and member of the Austin Food Blogger Alliance, I get to do a LOT of really cool stuff in and around Austin. Once a month, I plan a happy hour for our 170 members, and once a quarter, I plan another large, more formal social event. 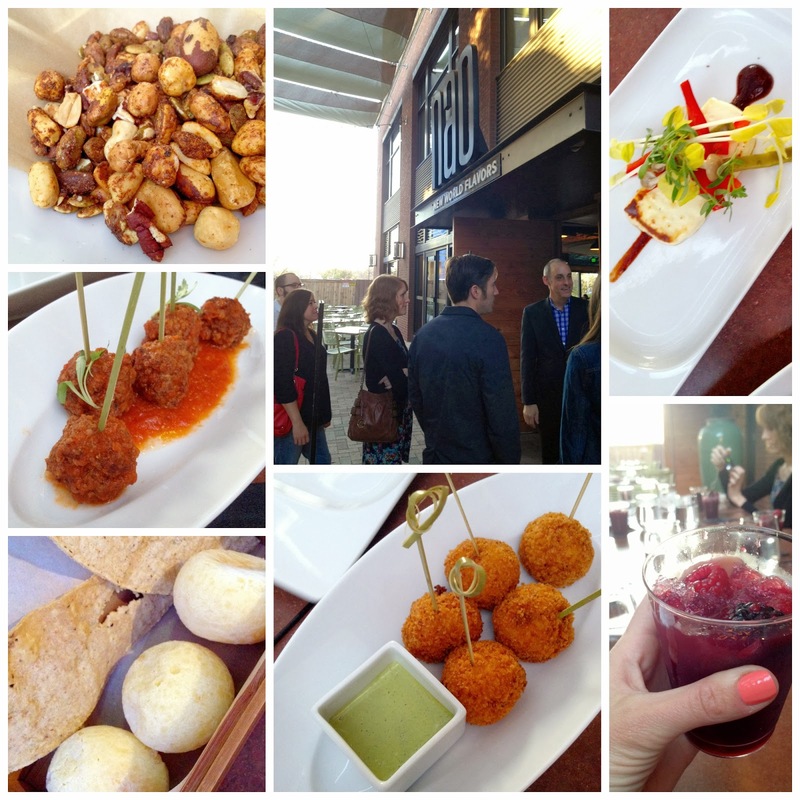 This quarter was my first "food tour," where we set out to visit a neighboring city's culinary scene. After my experience auditioning for the Next Food Network Star, I knew we would be going to San Antonio! The tour's epicenter was in the historic Pearl Brewery District. There are so many wonderful restaurants and shops opening there, and it is also home to the Culinary Institute of America! We began the tour at the Farmer's Market, which runs every Saturday morning in the Pearl Brewery Square. My husband and I didn't quite make it in time to check it all out, but we heard good things. 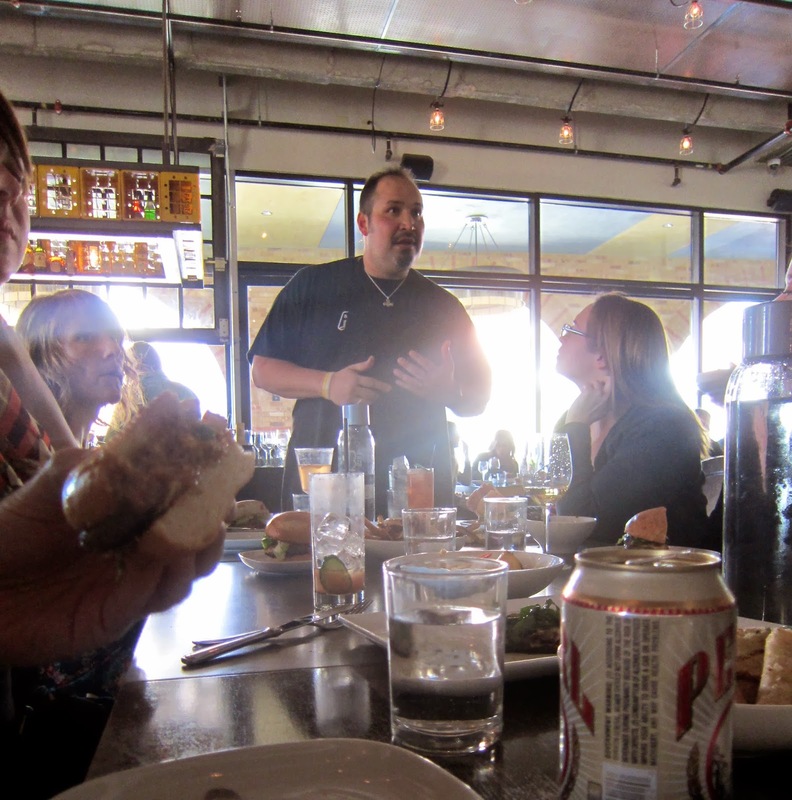 We met the bloggers at our first dining stop, Arcade Midtown Kitchen. I met Arcade's chef and owner, Jesse Perez in line to audition for the Next Food Network Star last October. I wrote all about it here. For this trip, Jesse was kind enough to bring out a deluxe sampling of the highlights of his menu. 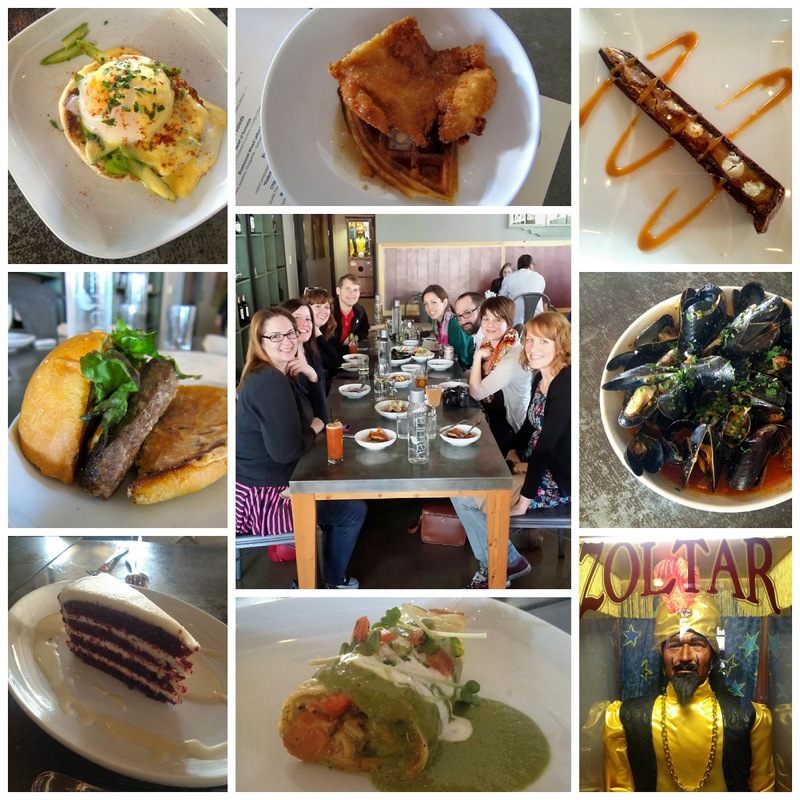 Clockwise from the top left, we got the Eggs Benny, Chicken and Waffles, Homemade Snickers, PEI Mussels with Chorizo and Habanero Broth, Zoltar the fortune teller, Lobster Soft Taco, Red Velvet Cake and the Arcade Brunch Burger. My favorites were the Lobster Soft Taco, which were sort of paleo since the crepe was made from masa (better than flour! ), and the PEI Mussels. OMG that broth was heavenly. It was incredibly innovative combining chorizo and habenero, yet completely balanced. I will never like mussels anywhere else. I'm spoiled. Second stop was the Culinary Institute of America. This was my favorite part of the tour-- I loved learning about all that goes on at the campus. There are several campuses around the world, with famous graduates like Anthony Bourdain, Anne Burrell, John Besh, Cat Cora, Michael Symon and Geoffery Zakarian. Special Services Coordinator, Heather Gasaway, showed us around the campus, highlighting the famous "pandelier" (bottom left), which has to be the most whimsically beautiful light fixture I've ever seen! 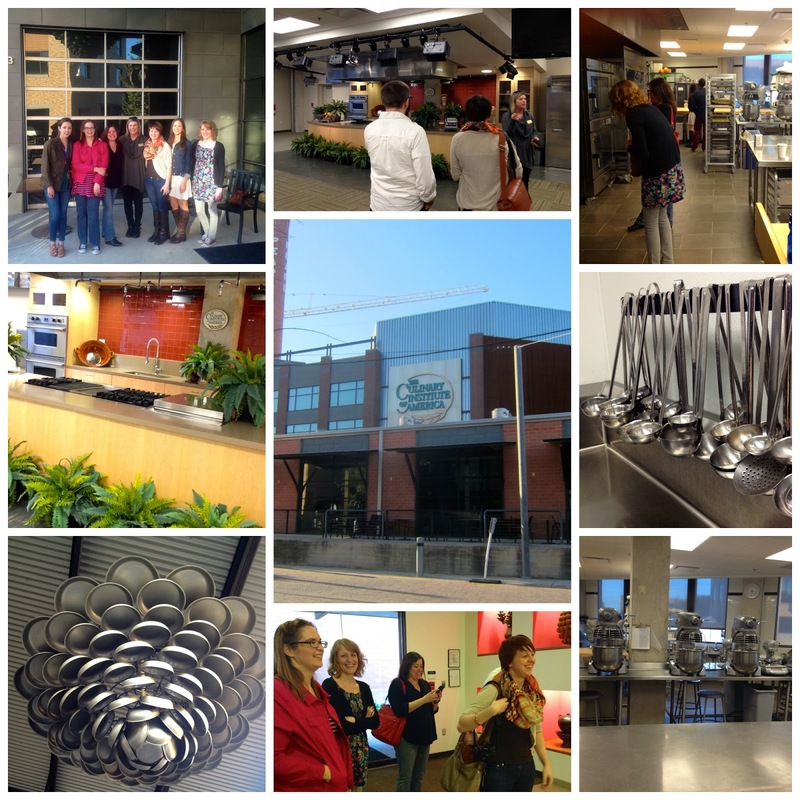 She showed us the classrooms, kitchens, dining spaces and demonstration studios. We learned about their culinary degree and the enthusiast classes they offer for the general public. I cannot wait to visit them for an enthusiast class! I want to learn more about wine (go figure). After the tour of the CIA, we had a delightful happy hour at NAO, the CIA's Student-run restaurant that celebrates the flavors of latin cuisine. Every six months, their menu honors a new country. We were lucky enough to sample the cuisines of Brazil. From the top left, clockwise, we enjoyed spiced nuts, grilled panel cheese with pickled vegetables, Carmenere Sangria with pisco and hibiscus, fish fritters with "holy #$@%" sauce (that was my name for it), gluten-free cheesy bread, and meatballs. The general manager, John Storm, was tremendously welcoming to our group and showed us an amazing time. We were all beyond impressed with the cuisine. I love their changing menu concept and very much look forward to visiting again and again. Unfortunately, by the time we had dessert and wine at Boiler House, we were all pretty sauced. That is the most honest way I can explain these terrible photos of these decadent desserts. 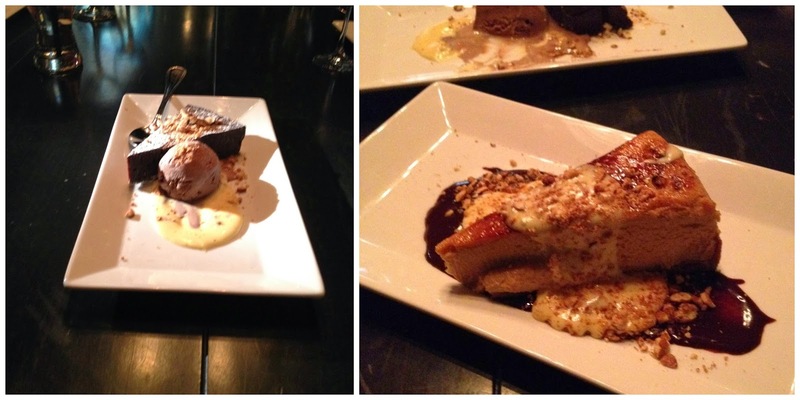 I ate the flourless chocolate cake (on the left) with an amazing Tempranillo, neither of which I usually enjoy. Both of them were incredible. The wine was called Argam and it paired well with all of the desserts we enjoyed. We were seated in the private glass-enclosed balcony that looked over the live-music stage in the restaurant. Boiler House has such a unique space, a terrific staff, excellent service, a fantastic wine selection and beautifully crafted desserts. 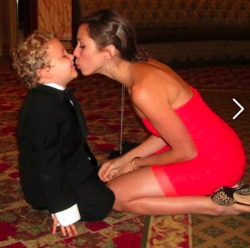 I loved that chocolate cake-- no regrets. In short, the San Antonio food tour was a blast. I can't wait to keep this trend going. Where should we visit next?? How cool!!! That would be a fun event to go to / plan! 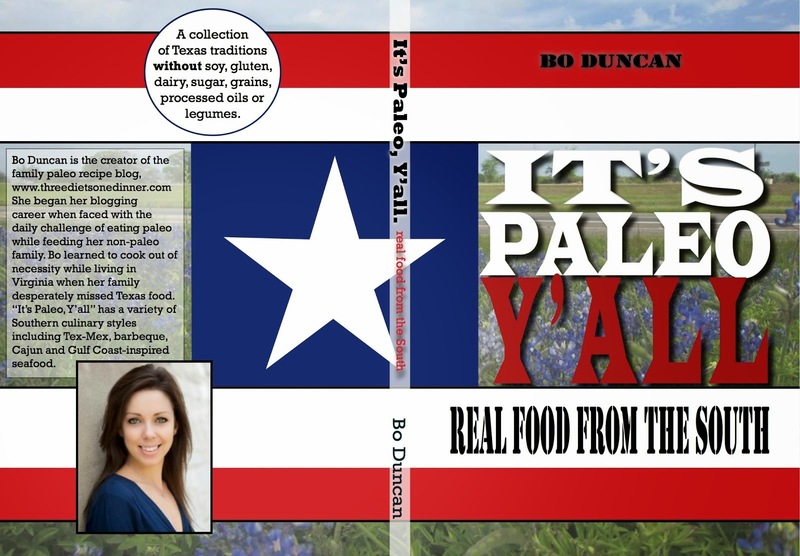 If you liked that then you'll love the food tour we took here in San Antonio. The name is Fork in the River, which we purchased via www.foodtourssanantonio.com. A friend of mine brought her out of town family with us; they were actually the ones that had us searching for a food tour as an idea for something to do. I didn't know where to begin, so, I did the Google search. The reviews for the tour was off the charts. It really did live up to the billing!